L shaped popup stand. Quality popup frames to create an L shaped popup. 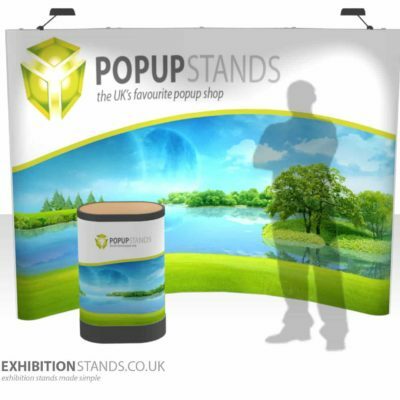 Perfect for corner displays and exhibition stands. High quality magnetic panel print as standard. Our L shaped magnetic popup kit is an exhibition ready display with quality printed graphics. The magnetic frame is fast to install and the quality panels are designed for repeat installs. Panels are finished in anti scuff crystal matt as standard. Below are the footprint sizes of each L shaped popup stand. The following guide will cover all width combinations. With all L shaped stands, the size combination can be set either way. For example, you can order a 4×2 but send us artwork for a 2×4. Please make adjustment for the ghost panel when referring to the artwork guide. Please let us know this if this is the case with your order.